New Members and New Events! Congratulations Amy and Suzanne! 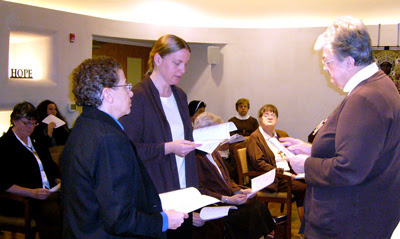 Both of these women attended the Come and See weekend in Enfield, CT this past fall and have decided to discern religious life with the Felicians. We are proud to have you journey with us! ...Sister Bridget Mary, that's me! I am going to start out at St. Brigid's Parish in San Antonio, Texas! I love the snow, but I also love the Southwest, so I'm willing to part with the cold weather for awhile. Sister Dorothy Moczygemba will be guiding me through experiences in both religious education and youth ministry. After about four weeks there, I will fly to Buffalo, NY to be with our Sisters at Our Lady of Pompeii Convent. Sister Therese Chmura will be my main connection with religious education. When my four weeks in New York are up, I will be under the guidance of Sister Faith Balawejder at Our Lady of the Sacred Heart Convent in Coraopolis, PA. There I will be involved with the St. Louise de Marillac Parish. I am excited about experiencing ministry in a parish since my interest is in pastoral ministry. Initially I thought I would rather teach adult religious education, but after some time with the children at the Montessori School of Enfield, CT, I am considering religious education with children. I trust this might help me discern where I am being called! ...Hello! I am Sister Mary Angelise. I will be starting my apostolic experience at the St. Ignatius Nursing Home in Philadelphia, PA. I will be focusing on pastoral care and senior activities. As a postulant, I was fortunate enough to spend a month with our Sisters in the care center at Our Lady of Good Counsel Convent. I was involved in pastoral care and senior activities there as well and really enjoyed it, so I am glad to have the chance to explore this ministry once again. 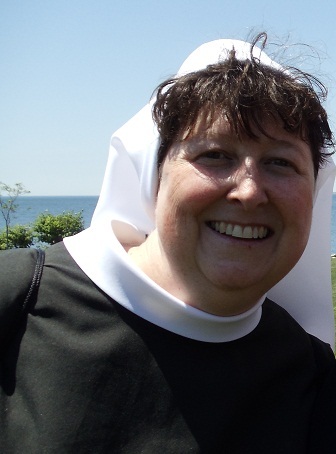 After Philadelphia, I will spend time at Felician Village in Manitowoc, WI, where Sister Mary Odelle is the local minister. There are many possibilities for ministry there, so my specific outreach will be decided when I arrive in March. I will complete my apostolic experience at the Assumption of the Blessed Virgin Mary Convent in Buffalo, NY. The opportunities for ministry in the Buffalo area are just as plentiful, so again we will look at the possibilities for ministry when the time comes closer. Please keep us in your prayers!